feature It’s May 2011, and Australia’s whole IT industry is buzzing, with the annual CeBIT trade fair in full swing. Tens of thousands of attendees are examining the hundreds of displays in the huge cavern of the Sydney Exhibition Centre, where the crème de la crème of Australia’s technology sector is proclaiming their wares. However, despite the carnival atmosphere and the panopoly of offerings to be examined, many of Australia’s technology journalists are crammed into a small lecture room off to the side of the main hall, listening to one man. The reason? This man is one of the most important executives in Australia’s technology sector. With a technology budget stretching into the billions over time and an in-house staff of thousands, Department of Human Services chief information officer John Wadeson is the centre of attention. And he’s retiring. Just a few months earlier the long-serving public servant confirmed he was on his way out. Australia’s technology press are here to witness one of his last public appearances. Wadeson has left behind him a colossal task for his successors. The CIO used to lead Centrelink’s IT division, itself one of the largest IT end user organisations in the country. But since late 2010 he’s also been in charge of the massive IT consolidation going on as Centrelink, along with other agencies such as Medicare, are consolidated into the new DHS super-agency. In that role Wadeson has overseen the commencement of one of the nation’s largest technology integration projects — an initiative which still has many years to run. But the humble Wadeson doesn’t predominantly speak about that project. Instead, his voice shakes with passion as he draws a vivid picture of how Centrelink used a room full of laptop PCs and a 3G mobile broadband connection to distribute close to $1 billion worth support payments during the recent Queensland floods. It’s clear the public servant is devoted to getting real outcomes for real Australians — and, after all, isn’t that what public service is all about? Interviewing Wadeson’s successor Gary Sterrenberg (pictured, right) in a DHS office in downtown Sydney earlier this year, what struck me about the executive was how strongly this passion appears to have been passed along. Sterrenberg doesn’t have a background in the public service. Instead, the CIO has a staunch history in the private sector, ranging from six years at global petroleum giant Shell to a position as the European IT director for advertising group McCann. The executive’s past half-decade has been spent at ANZ Bank, where he ended up being the bank’s CIO of its Australian operations. He also spent a year and a half at rival NAB. And, fitting for an IT executive of his stature, our conversation ranges across many different areas, from IT infrastructure upgrades to how technology can be aligned with the business, from Microsoft to SAP to Bring Your Own Device and back again. However, I was surprised during our conversation about many of Wadeson’s favourite themes ended up being the focus. 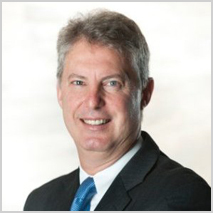 When I asked Sterrenberg, for example, what technology he’s most excited about over the next five years, he doesn’t mention the magic acronyms — CRM, ERP, PC, UC or BI. Instead, he talks about social media. “For us, social media is going to be a way for us to reach into communities earlier,” he says. DHS has made strides into social media — with general manager Hank Jongen being the department’s official and highly visible Twitter point of contact for the public — but Sterrenberg hints at bigger ambitions for its social media approach. For Sterrenberg, social media offers an opportunity for DHS, whose mandate is broadly to implement welfare programs, to touch base with Australians when the crux points in their lives occur, before their lives go off the rails. “If I understand that a person is going to lose their job, which is a bad situation … if you can provide the systems at the first step and bring the person back into the workforce using the skills that our teams have, that is the best outcome for the customer,” he says. Jongen points out that sometimes people’s cries for help will come first via mediums such as Facebook, referring to a recent case he had seen. “There was sufficient data available via social media to know there was a problem, and the right people intervening could have solved it,” he said. The way large organisations use social media is an evolving field, and it can backfire, as organisations such as Coles and Woolworths have recently found. Sterrenberg acknowledges it’s an area of emerging technology, and there are a lot of discussions at the moment in communities as to what is acceptable and not acceptable. However, in general the area is seeing a lot of interest, not only in Australia, but also in countries such as India, Canada and the UK — countries where DHS has links with similar government agencies. 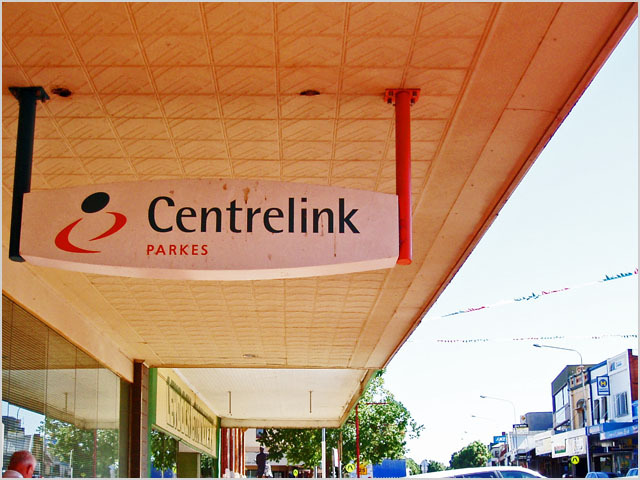 There are other areas which Sterrenberg talks passionately about in our conversation, and as social media does, they tend to revolve around directly serving DHS’ end customers — typically Australians receiving some form of welfare through Medicare or Centrelink. For example, he talks about providing diverse ways in which Australians can get through to the agency’s support staff. Its voice telephony system is pretty advanced at the moment, but the CIO is interested in a more multi-faceted approach — using social media, images, video. Mobility comes into it as well, with Sterrenberg touching on the major banks’ use of mobile phone apps to draw their customers into Internet banking services, and text messages for easy contact with customers. As with Wadeson, so much of what Sterrenberg talks about when given free rein to discuss his ideas revolves around meeting the needs of DHS’ customers better. And not just the sorts of internal business ‘customers’ which CIOs like to talk about alignment with — but real Australians, who depend on the agency. However, as much as every CIO likes to try and focus on building innovative solutions to meet their business’ needs, a substantial part of their work is also focused around basic building blocks of IT infrastructure. And in this area, Sterrenberg has a doozy of a job ahead of him. The right kind of CIO might envy him the task — but many would not. DHS itself was formed in December 2009, when the then-Rudd Labor Federal Government announced a colossal shake-up of the welfare portions of its agencies, merging Medicare, Centrelink, the Child Support Agency, Australian Hearing and CRS Australia into a new mega-agency. At the time, Wadeson was appointed deputy secretary of ICT infrastructure and given a massive task: Integrating the various departments’ technology assets. In June 2010, Wadeson revealed the full scope of that project. It would touch virtually every aspect of DHS’ technology systems — integrating HR and finance systems, consolidating datacentres, rolling out a common desktop based on Windows 7, migrating off various email systems including Lotus Notes and onto Microsoft’s Outlook/Exchange, going to tender for a raft of new contracts and more. And in May 2011, the cost of that technology integration was revealed in that year’s Federal Budget — $373.6 million, as well as other funding for related areas. The good news is that the shop was in pretty good hands when Sterrenberg arrived. Although the CIO didn’t say this, it is apparent that Wadeson’s strong governance of Centrelink’s ICT operations and much of his team has formed the new core of DHS’ ICT operations, with lessons from Wadeson’s long tenure being cross-pollinated into the rest of the organisation. Sterrenberg says one of his first actions upon joining DHS was to sit down with Wadeson and understand the CIO’s thinking. Then the next thirty days were all about meeting people within the organisation and understanding what was in place. “What I found was there was a lot of good foundation work that had been done,” Sterrenberg says. “John and the crew had set up some really good strategies, particularly on the infrastructure part, so there were clearly some really world-class infrastructure strategies that were in place. And the new merged DHS team has already notched up some early wins in terms of the big IT integration piece, having integrated a SAP HR platform across its merged operations. On the desktop, in the period from October to December 2011, DHS deployed five hundred desktops using its new common desktop architecture based on Windows 7 and Outlook. “By June, we will roll out another ten thousand, and then by the end of the year, another fifteen thousand onto that,” Sterrenberg says. Work is also proceeding on consolidating DHS’ fourteen datacentres down to two, a massive $500m+ telecommunications tender process is being worked though, the mainframes are being looked at (Centrelink is one of Australia’s largest users of mainframes, due to the massive financial data it processes — similar to a major bank), and there’s a sledload of smaller projects under way as well. Another major initiative will see DHS move away from large outsourcing deals with HP and IBM, bringing more services in-house. DHS’s technology environment might be changing rapidly. But don’t expect to see anything too radical from the department any time soon. Asked about the growing trend towards employees bringing their own equipment into work, Sterrenberg says it’s not something DHS will be looking at in the short term. “Definitely for the next two or three years I don’t think so,” he says. In terms of the BYOD trend and other current issues such Australia’s enterprise IT community is currently debating, such as cloud computing, Sterrenberg says he believes the vendor community needs to do more to make their case. “I think we need to see a lot more from the vendor community to ensure those offers and get the security right and all that sort of stuff before we can deploy it,” he says — noting DHS takes its responsibilities towards customers’ privacy very seriously — and there need to be examples that such new technologies were as robust as they needed to be. “Momentum” isn’t a word one often hears applied to Federal Government departments and agencies — with those working inside the public sector and those dealing with it often finding it hard to get the bureaucracy moving. In this case, it could also be expected that Sterrenberg — who hasn’t worked in the public sector before, according to his LinkedIn profile, might have an amount of difficulty adjusting to an organisation with a fundamentally different culture than that found in the usually nimbler financial services sctor. However, the CIO says while there are differences between the two environments, there are also many things which are the same. The key difference in working in the public sector, he says, is that there is a heightened level of scrutiny and governance, from “a broader stakeholder group”. “It’s not just the stakeholders that you’re working with,” he says, “it’s many others, including the media and others, who have an interest in how departments are using technology to drive and improve service. So that level of transparency is very, very different.” Sterrenberg’s immediate past employer, ANZ Bank, is a case in point, with the bank only very rarely giving briefings over the past few years on its use of technology. In comparison, substantially more is known about the IT projects and contracts at DHS. However, Sterrenberg says, in terms of the level of what he describes as “process bureaucracy”, all big corporates have it — even going as far back as the turn of the decade up until 2005, when he worked at energy giant Shell. “The level is no different or worse,” he says, but some additional factors come in — such as the need to think differently about how services developed by DHS could be deployed elsewhere across the public sector. And Sterrenberg is clearly already aware of some of the more complex dynamics at play. One of the big issues across Australia’s public sector at the moment is the fact that State Governments are currently suffering a very large crisis of confidence when it comes to their ability to deliver technology projects. A series of damning audit reports in Queensland and Victoria over the past several years have called into question the ability of those states to deliver major ICT projects at all. Sterrenberg — who has only been in his DHS role since October — is already aware of a quarterly session run between human services departments across various jurisdictions, with a view to sharing knowledge. “That happens quarterly, has for many years and will continue,” he says. At the end of the day, the role of chief information officer at the Department of Human Services is not an easy or traditional one. The executive who holds it must straddle the needs of traditional enterprise IT infrastructure outcomes along with more business-focused needs such as engaging with Australians through new mediums such as social media. And occasionally this fickle continent will throw them a complete curveball, such as the Queensland floods. Amongst all of this walks deep issues such as technology governance and dealing with the bureaucracy and political sphere which surrounds the department. In Sterrenberg, DHS appears to have found that voice. With much of Wadeson’s passion for the welfare portfolio, much of his humble demeanour, but also much of his underlying steel, in person there is no doubt the CIO knows what his role is and relishes the chance to get cracking at it. I’m sure I speak for many in Australia’s technology sector when I say that it will be fascinating to see what he can deliver. For further reading about Gary Sterrenberg and his work at Human Services, we recommend you check out these articles by ZDNet.com.au and iTNews (here and here).